We are glad to welcome you to the trendy Zurich City West! 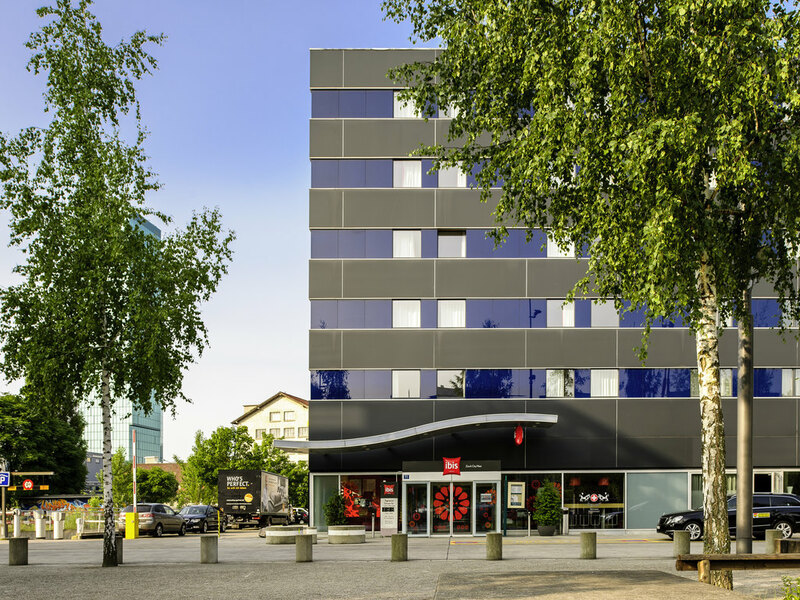 The ibis Zurich City West is located in a stylish district of Zurich, close to the motorway and 100m from the Technopark business center, 9km from the airport and 10 minutes from the main railway station. The hotel offers 155 rooms with air cooling (including five for guests with limited mobility) as well as a restaurant, a terrace area, a bar serving light meals and snacks 24-hour and private undercover pay parking. Wi-Fi access is also available. IBIS ZURICH CITY WEST : NO. 54 Escher-Wyss Pl. Tram No13 : No 13 Escher-Wyss Pl. Experience true Swiss tradition in our cozy Swiss Bistro, with decor featuring cows, bells and chalets. You'll be truly spoilt by our authentic Swiss cuisine and range of drinks; we leave no stone unturned.